Technology has made a huge impact upon our modern society. In the past, standard postal mail and phone calls were sufficient means of communication. However, as people are increasingly inundated with junk mail and persistent telemarketer calls, their willingness to pay attention to these forms of communication has diminished. It has nothing to do with whether they want to receive important communication, it’s just more challenging to weed out the vital information from solicitations. There are some matters so critically important they need to be communicated quickly and with the communication method most likely to succeed. Today, that method is text messaging. Our federal government clearly understands the effectiveness of text messaging. Look at the mass notifications from Amber alerts. Have you ever been in a public place when everyone’s phone suddenly went bonkers with an alert? We all have. It’s not just Amber alerts. The National Weather Service uses cell phones to warn people of dangerous weather looming. Why? Because it works. And it saves lives. According to an article on theverge.com, more than half of Americans ditched landlines and only use cell phone communications. Statistics also show that text messages have a 99 percent open rate; and 95 percent of those text messages are read within 3 minutes of being sent, according to Forbes. The data clearly supports just how effective text messaging is as a communication channel. Most people have their cell phones near them almost constantly. During the recent fires in northern California many homeowners were unaware of the danger that lurked while preparing for bed that evening. Lives were lost, which could easily have been prevented. As a result, Federal, State and local governments came under fire for not using text messaging to warn those in the path of a raging firestorm. Let’s pump the brakes for a second, because we also recognize how abusive some marketing can be on the consumer’s privacy. Federal laws define the distinction. Businesses are limited in their communications with consumers via the Do Not Call lists, the CAN-SPAM Act and the Telephone Consumer Protection Act (TCPA). Yet, even those contain exclusions for communications that inform consumers of danger. Lawmakers know that texting is a highly-effective way of communicating with consumers and that leveraging this channel in times of emergency, or threat of danger, is in the best interest of the public. So, what about using text messaging to warn vehicle owners about safety recalls? How important are potentially life-threatening recalls to an individual’s safety? Considering that the national average for recalls per vehicle owner is almost 1 per PERSON; and that Americans logged 3.22 trillion miles on the road in 2016; I’d say that recalls affect a pretty big chunk of the population. In 2016 alone, more than 53 million cars were recalled for safety reasons, by far the highest number in the past 20 years. Thousands of injuries and deaths were caused by unrepaired vehicles that are still driving around. In most cases, the vehicle owner had no idea their life was at risk while driving. The standard means of communication is via phone; which over half no longer have; and standard postal mail; which often gets tossed in the trash, mistaken for junk mail. In the search for increased recall completion rates, we can’t ignore how consumers want to receive these notices. In a September 2017 survey of consumer attitudes conducted by Recall Masters, 25.3% of respondents stated they would like to receive information about a recall on their vehicle “by any means necessary.” And 8.9% stated that “text alone” should be the sole channel of communication. These results clearly indicate that consumer habits and preferences have changed. Dealers sending marketing calls and texts must comply with the Telephone Consumer Protection Act. Broadly speaking, the TCPA requires the recipient’s consent before a company can send a text message or call to their cell phone using an automated system. Compliance with all laws is a priority for Recall Masters and we help dealerships send consumers recall notices through multiple channels including via mail, text message and phone calls, and go to great lengths to comply with the TCPA and reasonable interpretations of FCC orders related to it. While the Telephone Consumer Protection Act TCPA prohibits businesses from contacting consumers via cell phone unless they have opted-in, Congress has provided an emergency exception for communications “affecting the health and safety of consumers.” Recall Masters only notifies consumers of recalls that could affect their health and safety. These communications qualify for the emergency exemption to the TCPA. 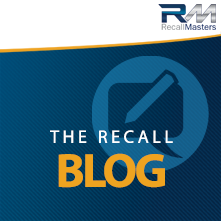 Because Recall Masters only makes informational safety-related recall notice calls and texts, it is not subject to Do Not Call (DNC) regulations. Out of an abundance of caution, Recall Masters uses a manual dialing system for text messages. The above compliance efforts have been researched and reviewed by our team of top legal experts. They assured us that we are in complete compliance with all consumer communications regulations and restrictions related to contacting consumers about outstanding vehicle safety recalls. Consumers want to be safe. If sending a text message can save lives, then we should acknowledge that existing TCPA laws protect the automotive industry’s right to communicate to vehicle owners about unsafe recalls. For those recalls posing an imminent risk to a consumer, texts also qualify as an emergency exemption to the TCPA’s ATDS guidelines and can and should be used. The bottom line is that the current recall epidemic, which is set to continue for the next decade or longer, will lead to more dangerous driving conditions if modern, more effective, solutions are not employed. Legislators are up in arms due to low recall completion rates, but have little understanding of what to do. And far too frequently consumers don’t even know the recall exists. Texting, as part of a multi-channel communications strategy, will absolutely increase recall repair rates which will help prevent future injuries and deaths stemming from unrepaired recalls as well as make the roads safer for everyone. And that result should be something everyone is working towards on a united front.